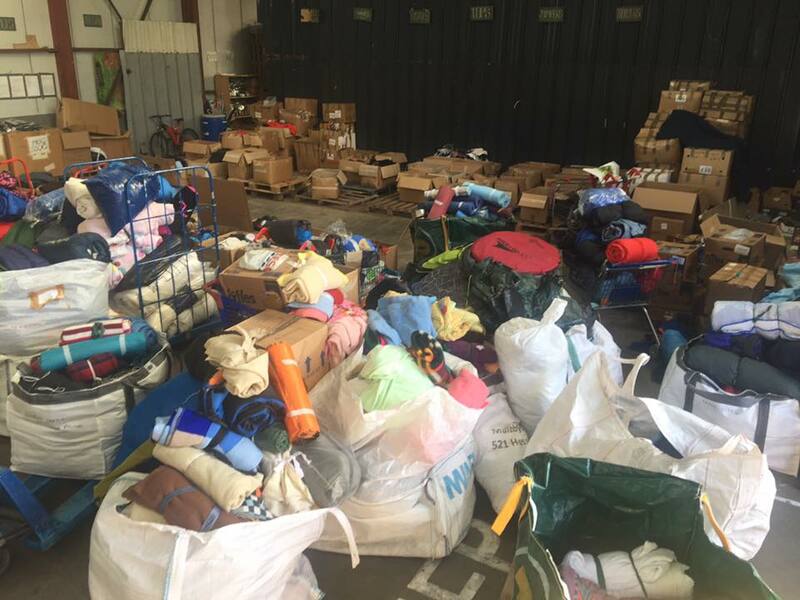 Today due to an awesome collaborative effort – and one man’s sheer determination – a much needed load of aid arrived at our Calais warehouse. This will soon distributed here in Calais, in Paris, Dunkirk and in Brussels. It included many urgently needed items – blankets and sleeping bags, winter clothes, underwear and gloves, apples and snacks. With over 2,000 refugees sleeping rough on the streets of France all these things are very welcome. It really lifted our hearts to see that so many people still care enough about the refugees to be making up snug packs, collecting bedding and sorting winter coats and boots as the winter draws in. With special thanks all involved: Friends Of Refugees – FOR.Bedfordshire, Refugee Aid From Taunton #raft, Refugee Compassion, Blandford Cares, FWRD – Festival Waste Reclamation and Distribution and the many others that donated and worked together to make this happen. And with massive respect for the majestic Usman Khan for the 24 hour driving marathon #onemanarmy and our very own Craig Rennie for making all this happen through Transit of Aid (France) FB group. There aren’t many ‘good’ days in Calais, but this was one.